We're progressing with Patreon and welcoming our first subscribers! Plus an update as to where we'll be heading with our educational program on Patreon. 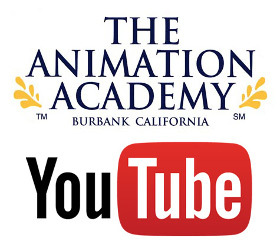 We're happy and excited to share the news that The Animation Academy in Burbank is now on Patreon! Patreon is a popular crowdfunding site that gives creative individals and groups a resource for developing content and revenue generation. 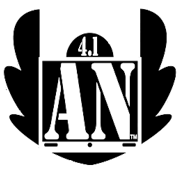 We're bringing our program to Patreon and welcomeour community to join us in this new adfventure! Follow this link to the The Animation Academy on Patreon. Among our up and coming talent at The Animation Academy is Hannah Smith. She's been a stellar student in the time she's been with us and functions as a teacher's assistant in our Character Design 1 class. Hannah is a self starter and has become proficient in ToonBoom Harmony which is an industry standard software for creating traditional animation. Hannah has also been developing her YouTube channel and as of this writing she has more than 4,700 subscribers. She's developing her client base and has been accepting commissions. A great beginning to her career! You can follow Hannah on YouTube through The Blue Wolf Studios channel. The video below showcases her animation demo reel for 2016. Back around 2006 - 2007 we had the pleasure of Evan Burse as a student in Character Design at the Academy. Since then Evan has developed a YouTube empire with his CartoonBlock Channel. As of this writing he has more than 236,000 subscribers who enjoy his demonstrations and lessons. Below is a recent video of Evan drawing Batman's arch nemesis the Joker. 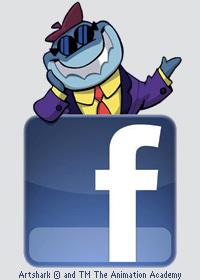 Click here to access the CartoonBlock website. You can also learn from and support Evan on Patreon. Another of our many talented students who did very well in the animation business is Aaron Horvath. He is currently the producer of the popular series "Teen Titans Go!" at Warner Bros TV Animation for Cartoon Network. Aaron diligently applied himself to excellence in his art and went on to lofty heights. Click here to see samples of his work while he was a student with us way back in 2002. You can see more of Aaron's work at the Academy's blog. Check out the video below for a quick sketch demo of Robin that Aaron created recently. Among the pantheon of great artists who were once students at the Academy is Taso Gionis. He was barely out of high school when he first came to us in the early days of the school. He has since gone on to tremendous artistic accomplishment in the entertainment industry as a character designer and modeler currently employed at Blizzard Entertainment in that capacity. Taso creates incredible characters at the highest level of motion pictures. The video below is his demo reel. This is what talent, hard work, dedication and a solid foundation in fundamentals can do for you when you stick with it and keep growing and learning. Follow this link to see Taso's early work at the Academy. You can also visit his YouTube channel and his amazing online gallery. Christmas Day and New Year's Eve 2016 from our campus in Burbank California with greetings from students and staff for a Happy and Creative 2017. An annual visit to Walt Disney's grave site on the occasion of his 115th birthday.